Miss Rodeo Colorado is one of more than thirty states that is a part of the Miss Rodeo America program. 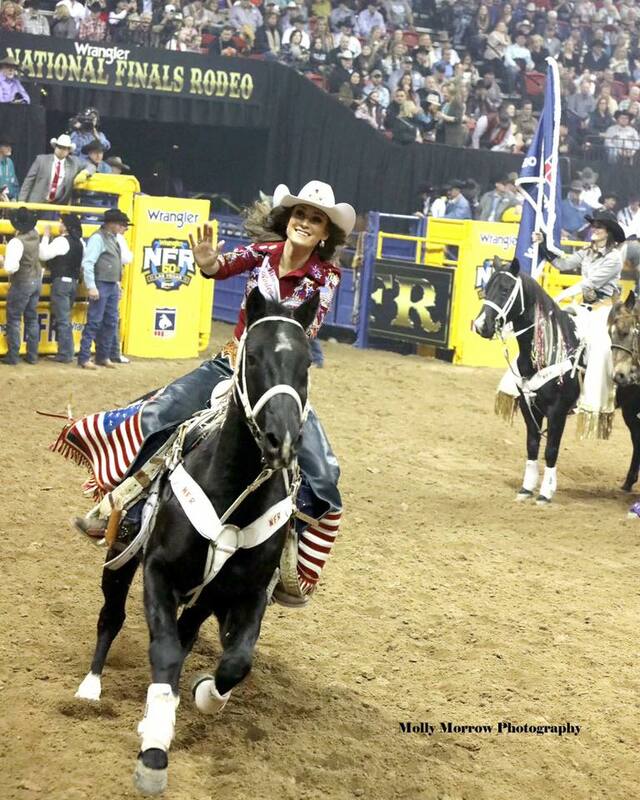 Each year women from across the country, including Miss Rodeo Colorado, head to Las Vegas to compete in the Miss Rodeo America Pageant. Taylor McNair was crowned Miss Rodeo America 2019 on Sunday, December 9, 2018 in Las Vegas. The 23-year-old from Learned, Mississippi represented her home state at the Miss Rodeo America Pageant as the 2018 Miss Rodeo Mississippi, becoming the third from her state to hold the coveted national title. Taylor earned a Bachelor of Science in Agriculture Business with a concentration on Policy and Law from Mississippi State University, where she competed on the Equestrian and Rodeo Teams. To enhance her strong voice for agriculture, Taylor will pursue a Doctor of Jurisprudence degree with a Master of Law in Agricultural and Food Law. The Landstrom’s Black Hills Gold crown is accompanied by more than $20,000 in educational scholarships and prizes including a wardrobe of Wrangler jeans and shirts, an assortment of Montana Silversmiths jewelry, and a selection of Justin Boots.